American toddlers are more likely to eat french fries than green vegetables on any given day, according to a new national survey on children's eating habits. Many young kids also go without any vegetables at all, the survey found. One in four 6- to 11-month-olds and one in five 1-year-olds had no reported vegetable consumption at all on days they were surveyed, the researchers reported. "The American Academy of Pediatrics (AAP) recommends vegetable consumption with every meal and snack," said lead researcher Gandarvaka Miles, a doctoral candidate with the University of North Carolina-Chapel Hill Gillings School of Global Public Health. "On two random days, parents didn't report any vegetable consumption for these children." The survey also found that nearly three out of every five infants aren't getting any breast milk at all. These numbers are concerning because kids' eating patterns develop at a young age, Miles said. Poor eating habits when young can put infants and toddlers on a road to continued poor nutrition into adulthood, she added. "As we learn more about how dietary habits are established, we are seeing that even as early as infancy, breast milk consumption and consumption of fruits and vegetables can help lay the foundation for healthy eating habits," Miles said. She and her colleagues used data from 2005 to 2012 taken from the National Health and Nutrition Examination Survey, conducted by the U.S. Centers for Disease Control and Prevention to track health and diet trends among Americans. In the survey, mothers were asked to provide a detailed description of what their children ate on two randomly chosen days, Miles said. About 26 percent of 1-year-olds ate french fries the day before the survey, compared with 7.5 percent who ate dark green vegetables and about 17 percent who ate deep yellow vegetables, according to the results. The survey also revealed a decline in consumption of healthy fruits and vegetables among 1-year-olds. The percentage of 1-year-olds eating canned or frozen fruit decreased by more than 10 percent between 2005 and 2012, and consumption of dark green vegetables decreased by more than 50 percent. Most other vegetable categories also saw a decline in consumption among 1-year-olds — even french fries, which fell from about 32 percent to 26 percent. The researchers found that nearly 60 percent of infants younger than 6 months did not consume any breast milk. However, they did find that more families are exclusively breast-feeding during the first six months of life, in alignment with AAP recommendations. It can be difficult to find fresh fruits and vegetables in many parts of the country, said Dr. Annemarie Stroustrup, an associate professor with the Icahn School of Medicine at Mount Sinai in New York City. She was not involved with the study. "In the wealthier parts of town, you can walk a block and you find a grocery that has a wide variety of fruits and vegetables," Stroustrup said. "When you go to some of the lower-income neighborhoods, it's often quite a distance to travel to get somewhere that has a greater variety of fresh foods." Toddlers also don't make it easy on parents, she added. "Toddlers are not necessarily going to be developmentally ready to try new foods. Toddlers are newness-averse," Stroustrup said. 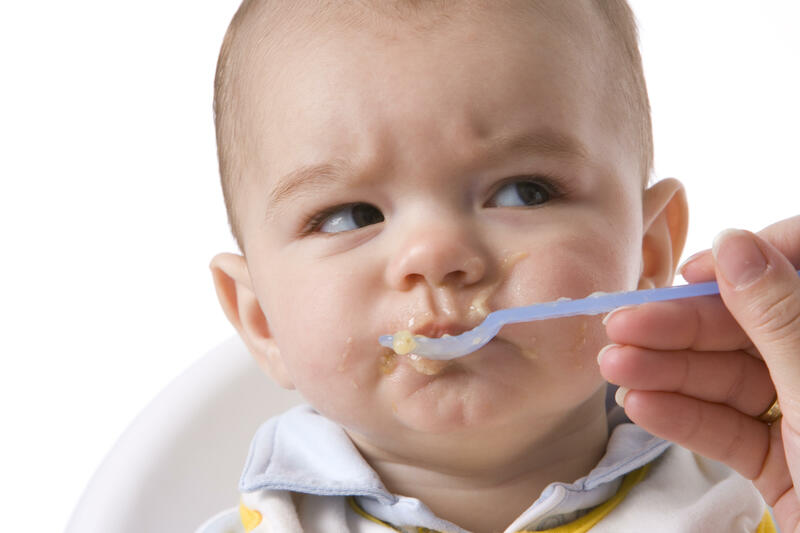 "You often have to offer a new food to a toddler up to 10 times before that toddler will accept it as something they will eat." But it's important to be diligent and keep trying, both Stroustrup and Miles said. "Food preferences that we develop begin to be established as early as transition to solid foods, and that usually happens around 6 months for U.S. children," Miles said. Stroustrup agreed. "Although your toddler may say they don't like fruits or vegetables, if you keep offering it, as they enter childhood, they will end up with better eating habits and eventually they will likely accept it," she said. Local governments can also take steps to help people improve their children's eating habits, Stroustrup said. For example, in New York City the mayor's office has promoted the institution of farmer's markets across the city, and supported the acceptance of food stamps at those markets, Stroustrup said. That gives lower-income people a chance to buy healthier foods for their families. The new study was published online May 1 and appears in the June issue of Pediatrics.